New York City suspended the license of a Bronx waste collection company following a rash of accidents and other unsafe driving incidents. Sanitation Salvage has over 6,000 commercial clients, making it one of the biggest private trash collection firms in the city. Continue reading to learn about the company’s unsafe history and license revocation, and contact an experienced Manhattan car accident attorney with any questions. 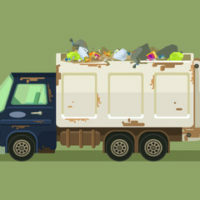 New York City’s Business Integrity Commission (BIC) filed an emergency suspension of the license of Sanitation Salvage after an audit revealed a history of unsafe driving incidents. The BIC began the audit in April and found that Sanitation Salvage trucks had been involved in 58 collisions since March 2016. According to previous reports from current and former Sanitation Salvage workers, the company engaged in a series of unsafe practices, including requiring drivers to work grueling 18-hour shifts and using a host of off-the-books workers picked up along the collection routes. Two people were killed by Sanitation Salvage truck drivers between November 2017 and April 2018. One of the incidents involved a victim whom the company claimed was a homeless man who jumped on the truck, but according to ProPublica, he was actually an off-the-books worker hired on the spot. One of the more egregious accidents occurred earlier this month: a Sanitation Salvage truck drove the wrong way up East 169th Street in the Bronx into oncoming traffic. The truck crashed into a sedan, sending it crashing 25 feet into a parked car. The garbage truck smashed into another parked car before coming to a stop. The sedan driver was, thankfully, not seriously injured. The driver of the truck should not have been driving at all. He did not have a license. He claimed he was only trying to stop the truck after a co-worker accidentally left the car in neutral, and he did not actually intend to drive the collection route. Sanitation Salvage fired the unlicensed driver. This was, apparently, not a one-time occurrence: Just before issuing the license suspension, inspectors found that a different employee without a license had taken the wheel of one truck while his co-workers were on a break. If you or a loved one has been injured in a New York traffic accident, get help seeking damages from a seasoned professional by contacting Manhattan injury accident lawyer Leandros A. Vrionedes for a free consultation at 212-889-9362, or in Queens at 718-777-5895.